HALIFAX, NS – Propeller Brewing has announced the release of a new one-off beer. 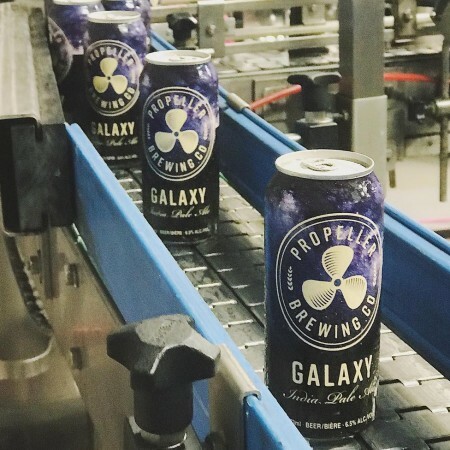 Propeller’s Galaxy IPA boldly takes you into the delicious dimension of Vermont India Pale Ales. Hazy, hoppy, and juicy – Australian Galaxy hops explore rich pineapple, peach, and tropical citrus aromas. Citra and Mosaic hops add undertones of tangerine and mango. Galaxy IPA is available starting today (November 23rd) in 473 ml cans and on tap while supplies last.